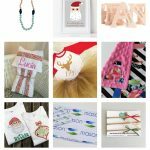 Just over a month until Christmas & I decided it was the perfect time to kick off our Holiday Gift Guide series. 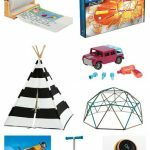 I am so excited to share some of our favorite picks this year for boys, ages 6-8. 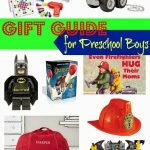 I have had a lot of fun creating holiday wish lists with my boys & we have come up with 50 Favorite Gift Ideas for Boys! Below are some great gift ideas for boys. 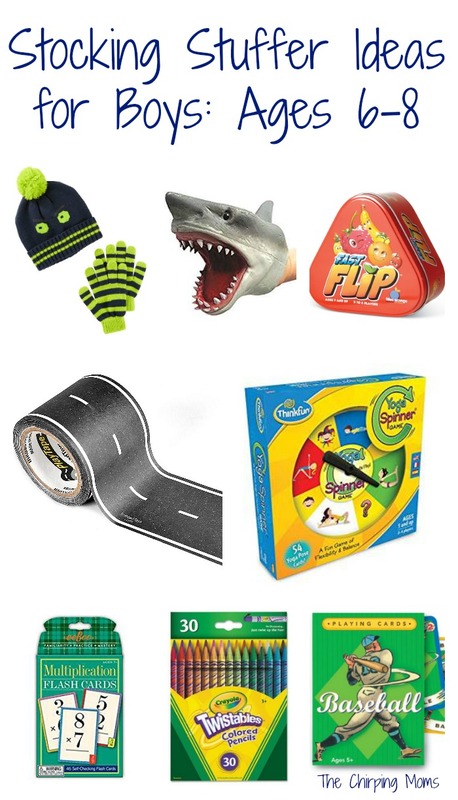 I’m not buying Aiden & Andrew everything that is featured below, but this list was created based on a mix of items that we are purchasing for Christmas, items that they own already (and love), and other items that I think would make great fits! 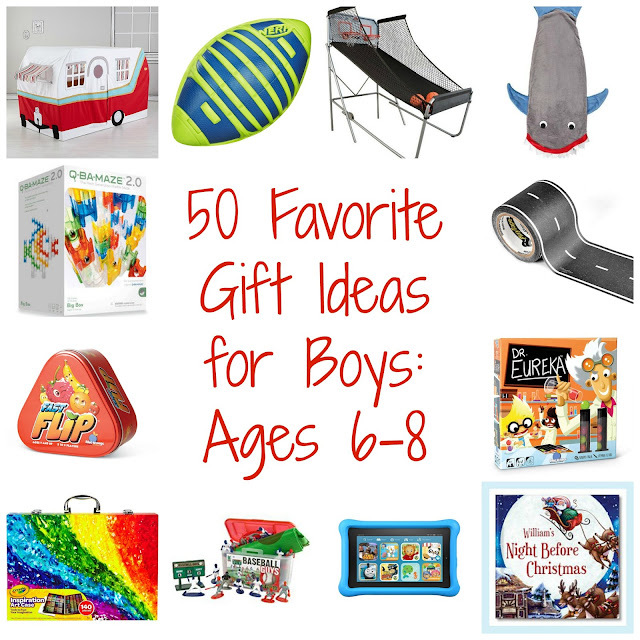 We hope you enjoy our post, 50 Favorite Gift Ideas for Boys, Ages 6-8. Lego Sets: With two boys, ages 6-8, there is one thing that is a must have in our house: Legos. Some of our favorite sets include the Star Wars sets, Lego City sets, & the Super Hero sets. We often shop for the sets that feature the characters that they want! Play & Store Building Brick Set: With two big Lego fans, I was excited to find this play and store portable building brick set from Lakeshore Learning. 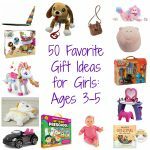 This is a great way to transport one of our favorite toys & take a few of our favorite toys on the go. Imaginext Shark Bite Pirate Ship: The boys have been big Imaginext fans here for several years & when my son (a huge shark fan) saw this pirate ship on a commercial, he knew this something that he would love to have. Diner Pretend Play: All three of my kids love to play restaurant in our play kitchen. The boys received their play kitchen six years ago & it’s still in great shape and used often. I thought this pretend play set from eeboo would be great to use for all three kids! Land of Nod Camper: We went camping for the first time this summer in a camper and my son can’t stop talking about how much fun it was. If you ask him what he wants to do on his next vacation, it’s going to sleep in a camper. 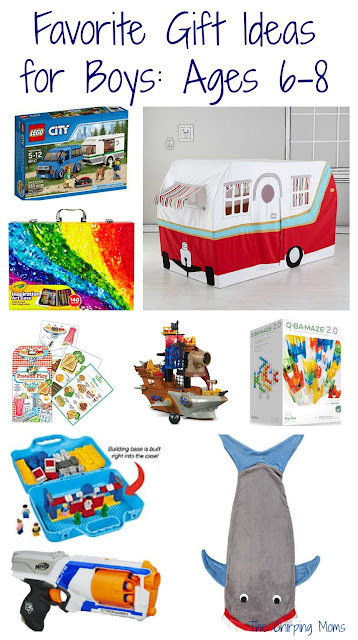 When I saw this camper from The Land of Nod, I knew that this was something that would be a huge hit for our son (and his siblings) this year! Hot Wheels Criss Cross Crash Track Set: Matchbox cars are still a favorite in our house for both boys & this is one of the Hot Wheels new track sets with four intersecting crash zones and a car feeder ramp. This is simple & easy entertainment for both boys! Q-Ba-Maze: My sons love to build. Not only do they use Legos, but other favorites include Magnatiles & old-fashioned building blocks. When I saw this building marble set, I thought this would be a great addition to our toy collection. The boys will love developing their own marble mazes with this fun set! Nerf Guns: This is one thing we have yet to own in our house, but all their friends have Nerf guns and they love them so Santa may surprise them with their very own Nerf gun on Christmas! Shark Blanket: One of my boys is a huge shark fan & this may be the cutest gift ever! This blanket looks perfect for all seasons. You can use in the winter cuddled by the fire, but it would be great for heading to the beach in the summer and having a “sleeping bag” to go with you! Crayola Inspiration Art Case: We go through a lot of paper and a lot of art supplies in our house. Both of the boys love to draw and write stories, so Christmas is a great time to refresh your “art supply” collection and I think these art cases would be great for each boy to have for themselves! Schwinn Bike Helmet: Both of my boys are in need of a new bike helmet, so Christmas is a great time to get a few of those items that they need. We picked out a fun new bike helmet from Schwinn this year for each boy! 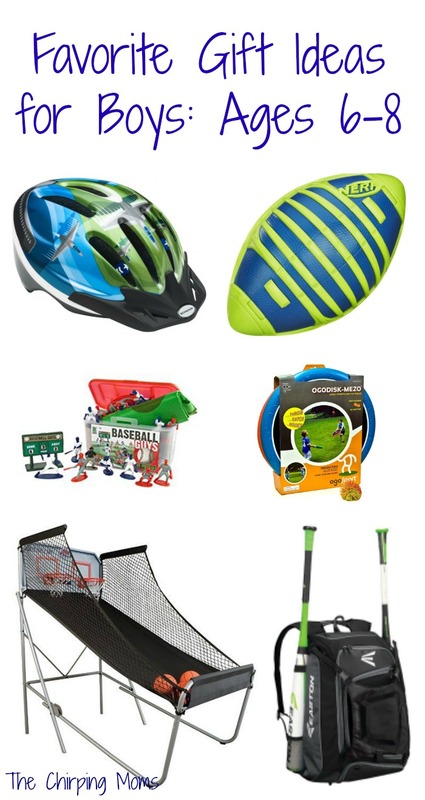 Sports Equipment: If you have children that play sports, Christmas is a good time to “refresh” any equipment or clothing that may need to be replaced. Since my boys will be playing baseball in the spring, we are going to be giving them some new baseball pants and for my littlest son, his very own baseball bag! Ogosport Ogodisk: We love to find yard toys that all three of our kids would enjoy & this Ogodisk was recommended by a family friend to us! Baseball Cards & Binder: The boys are all about collecting baseball cards, so an easy gift to give them would be a couple sets of baseball cards with a binder to hold them all. All you have to do is get a three ring binger and add these pocket pages inside to make their own baseball card binder! Nerf Football: There’s nothing easier to get the boys outside than just having a couple balls on hand to throw around. These Nerf footballs are great to have on hand for kids of any age! Sporting Event Tickets: If there’s one thing that my kids love to do with their Daddy, it’s to go to a professional sporting event. This summer, they were thrilled to attend several major league baseball games. An easy gift idea would be to find a favorite sporting event and get the tickets so the kids have something to look forward to in the new year! Baseball Guys: With baseball on their minds this year, I think this playset would provide lots of fun even during those cold winter months when we can’t go outside. There are also football, soccer, and hockey guys that would be fun for any sports loving boy! Basketball Arcade System: When you have kids that just need to burn energy and it’s too cold to head outdoors, you are always on the search for alternatives. As the boys are getting older, I would love to get them an indoor basketball hoop that will keep them busy all winter long, especially with a new baby arriving in just a few short weeks! Soccer Goal: If you have a child that loves soccer, this goal is perfect for holiday gift giving! It’s easy to set up and take down and great for practicing soccer skills. Wii Sports or Sports-Related Video Game: We aren’t a huge video game family, but we do still have our Wii from almost ten years ago. The boys like to play on the weekends here and there & this game is one of our favorites. If your kid loves video games, Christmas may be a good time to stock up on another sports-related game! 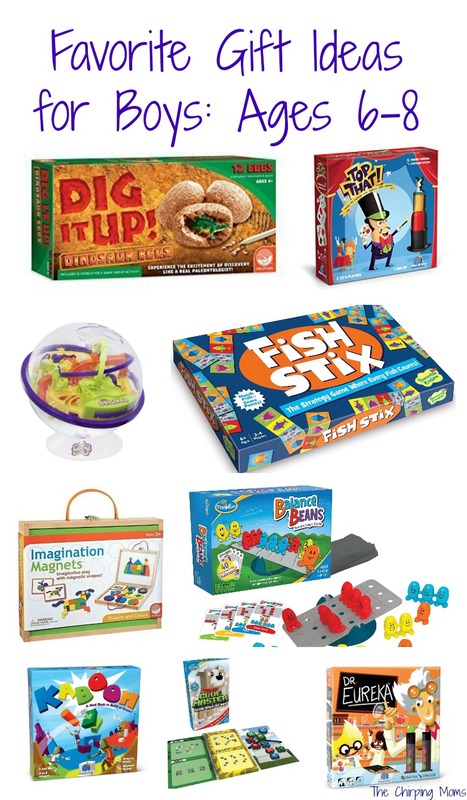 Fish Stix: My son loves anything ocean so when I found this game, by Peaceable Kingdom, I knew this would be great for the holidays this year. This visual strategy game was developed by the same person who designed Qwirkle, a favorite with the adults in our house! Balance Beans: This is another game designed to make kids think. It’s a single player logic game that introduces elementary algebra and physics principles. The kids have to try to balance the seesaw with the little “beans” that are included with the game. Clue Master: We have several Thinkfun games in our game cabinet & they are always a hit. This is geared for older children, so I thought it would be great for my eight year old. Clue Master reminds me of Sudoku (one of my favorite games), but with bones, balls, and dog bowls to figure out the pattern. Another great game that gets the mind working! Kaboom! : With two boys that love to build, this game looks like tons of fun. It’s a game that can be played as a family where players race to stack up their pieces to build as many towers as possible while their opponents launch catapults to smash them. I have a feeling that this will be a big hit on family game night! Dr. Eureka: This game comes from another favorite game company in our house, Blue Orange Games. The players race to solve scientific formulas by moving the “molecules” from tube to tube without touching or dropping them. This is another great game that can be played as a family! Imagination Magnets: I think this will be a huge hit with my six year old who loves to create! Using the magnetic blocks, children can either follow the design challenges that are included with the toy or create whatever they want using their imagination. We love open-ended toys in our house & I have a feeling that this will be a hit not just with my son, but also his younger sister! Top That! : This looks like another fun game for family game night for kids of all ages. Once the challenge card is flipped over, players race to stack their objects in one single pile following three simple rules. The kids will feel like they are truly doing magic when they are playing! Dig It Up Dinosaur Eggs: This summer, the boys received a “Break It Open” geode set from their grandma. They had lots of fun breaking the rocks with a hammer and were surprised to find the pretty geodes inside. Since the boys loved the activity so much, I thought these dinosaur eggs would be a fun gift for the holiday season. This time when the boys break open the rock, they will discover little dinosaurs. Perplexus: This is another game that has come recommended to us by friends! It’s basically a big maze inside a ball containing 100 challenging barriers. It looks like a toy that would be great for not just around the house, but for long road trips or keeping kids entertained at siblings’ sports games! Osmo: This is a toy that I have been eyeing for awhile & would really love to give to my boys this holiday season. It’s a game system that you use with your iPad that challenges kids to cultivate their mind and creativity. It looks like a great way to use the iPad in an educational manner and would work well for a wide range of ages! My Night Before Christmas: I always pick out a special holiday book each holiday season for the kids. This personalized ook from I See Me is based on the favorite Christmas poem, The Night Before Christmas. Readers will find their names in the book, as well as the name of their town, their favorite pet, and more. I added a sweet photo and personalized dedication so this will be a holiday book to cherish in years to come. Who Was? series: If you have a kid who loves biographies, this is one of our absolute favorite series. These are a huge hit with my oldest son, especially the stories about famous athletes and presidents. Some of his favorites include the Who Was? books about Babe Ruth, Milton Hershey, & Abraham Lincoln. Star Wars Workbooks: We keep a few workbooks on hand in our house for quiet time & when we are on the go. These Star Wars workbooks are a favorite in our house and I am planning to buy them a couple new workbooks to have on hand! Lego Books: We love the DK Publishing Lego books in our house and these are a great gift to give any boy in this age group! Favorite Chapter Series Books: If you have a reader that loves a series, Christmas is a great time to get a few new books to read at bedtime. Some favorites in our house include: Magic Treehouse, Ballpark Mysteries, My Weirdest School, & more. 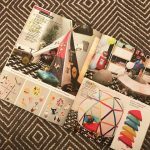 Paper Airplanes Book: My boys love to make paper airplanes and are often searching Youtube for new paper airplane ideas, so I have a feeling that this book will be a hit among both of them! 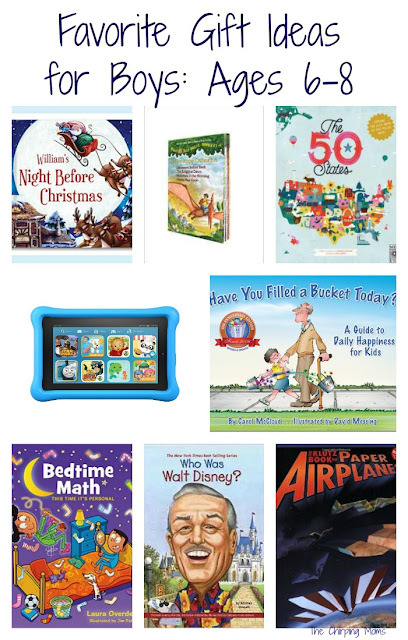 Kindle Fire: If you are looking for a e-reader for your kids, we love the Kindle Fire for kids. One of the features that we love the most is the Amazon Freetime Unlimited, where you have unlimited access to 10,000 kid-friendly books, movies, TV shows, educational apps, and games. There are lots of books for early readers, so we have found it be great for our young readers. Bedtime Math Series: These books are a great way to incorporate math into your daily bedtime routine in a fun way. There are over 100 math riddles with three different challenge levels, which is great when you have a household of a wide variety of ages! The 50 States: One of my boys is a huge geography buff so when I saw this book with a fun fact-filled map of every state, I knew this would be a great one to have under the tree for him this year. Have You Filled A Bucket Today? : We have talked a lot about kindness this year & I think this would be a great book to share with the boys to reinforce the concept of kindness, love, and appreciation of others. This Land Is Your Land Map & World Map : These laminated maps from eeboo are awesome maps for children. Both of my boys, especially my oldest, love to learn about places and look at maps. These are great to have on hand while teaching your children about the world around them! These maps are big, bold, and sturdy!